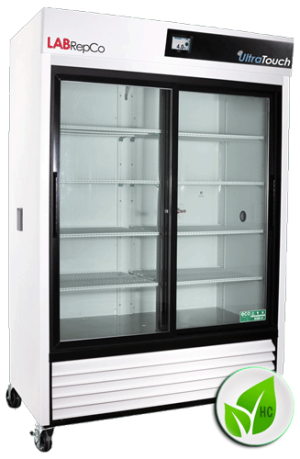 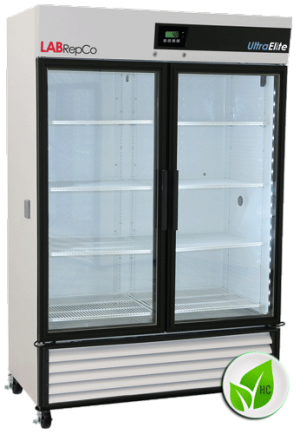 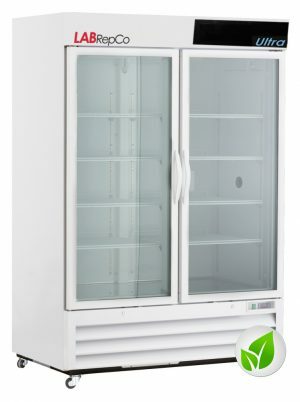 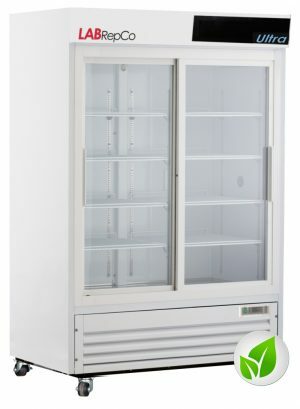 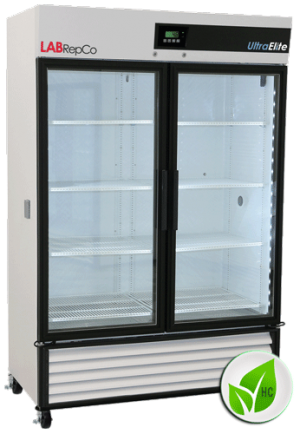 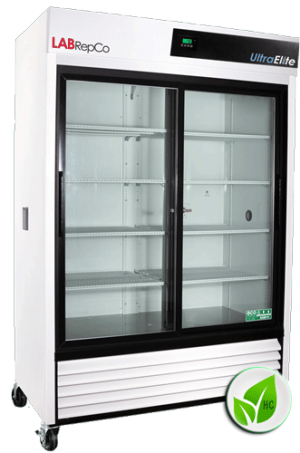 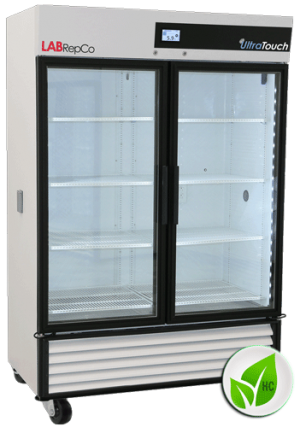 Our FUTURA Plus+ Series glass door chromatography refrigerators are designed for a variety of chromatography applications in the research and clinical markets requiring more rigorous temperature control and construction features. 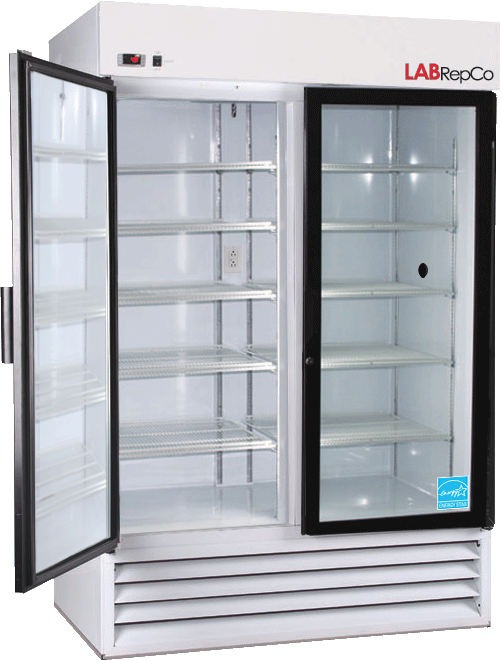 This unit features one hinged, self-closing glass door, temperature controller with audible and visual alarms, remote alarm contacts, digital temperature display, one duplex outlet, two 2” access ports and swivel casters. 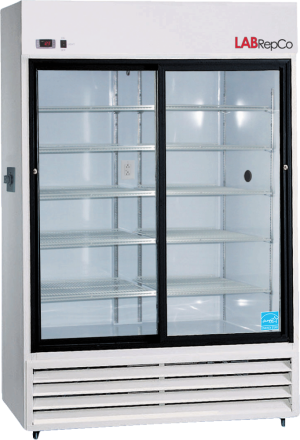 Access Port(s): two with 2" dia.